Experience total relaxation for the mind, body and soul at Hina Spa. 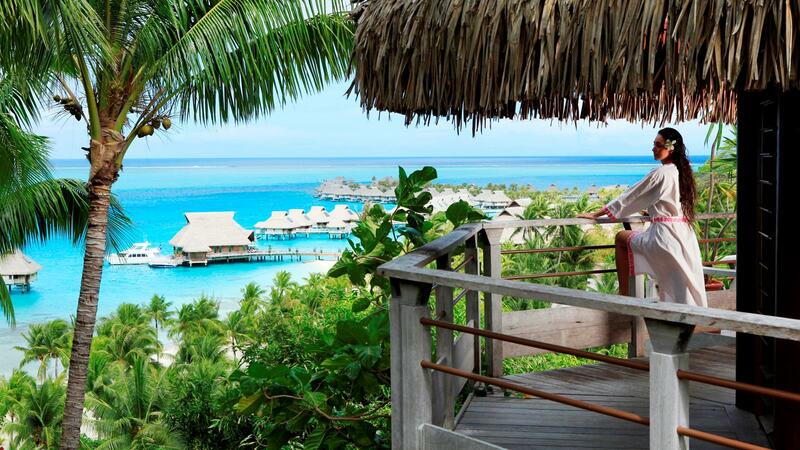 Perched high on the hilltop, surrounded by luscious vegetation, Hina Spa at the Conrad Bora Bora Nui offers a haven of tranquility amid this idyllic tropical landscape. Take in uninterrupted views of the deep blue hues of the lagoon of Bora Bora as you relax with a soothing and natural spa treatment. Unwind in the aromatherapy whirlpools and relax in the steam room and sauna. Choose from an extensive list of hotel spa treatments and care rituals, including massage therapy, facials, body scrubs, wraps and more. Each session is designed to promote total relaxation, with personalized treatments tailored exclusively for you.